Lamborghinis are renowned for being both insanely fast and super sleek in appearance. 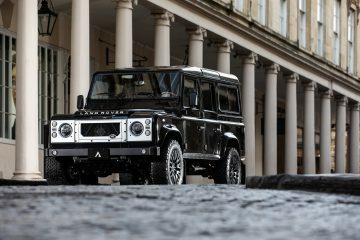 But to fully grasp the potential of these extravagant works of art, one needs to truly experience what it’s like to get behind the wheel and take control of the legendary machine. Fortunately, our good friends at the esteemed Italian automaker have created a driving experience for affluent buyers who are in the market for a new sports car. And that experience is called the Lamborghini Esperienza. Here’s how it works. 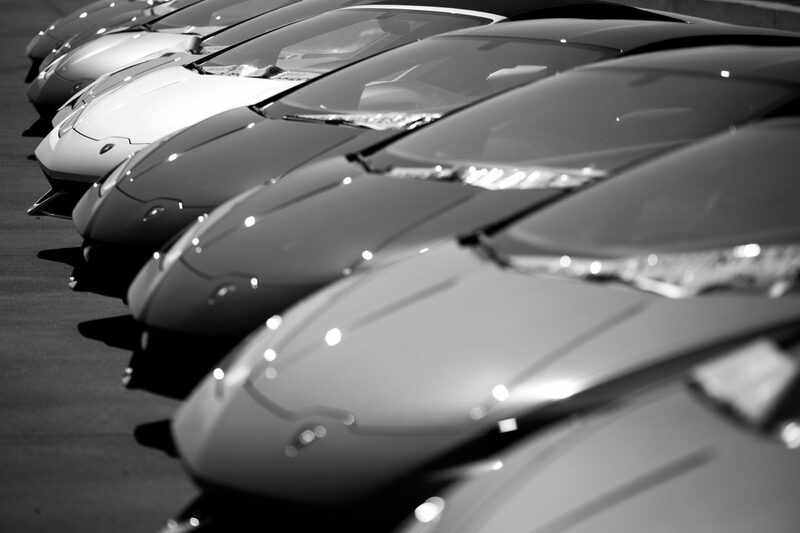 If you are considering purchasing a new Lamborghini and meet their eligibility criteria, the company will treat you to an unparalleled test driving experience. 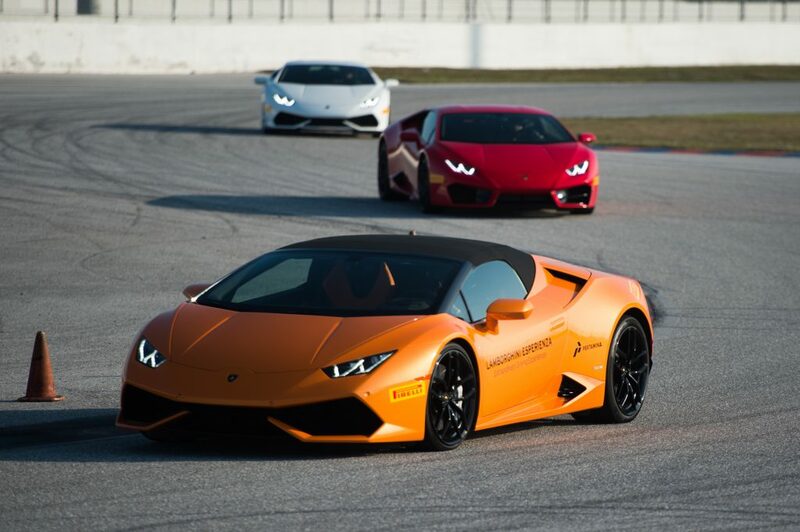 I recently had the privilege of attending the Lamborghini Esperienza at Palm Beach International Raceway and all I can say is that the prestigious automaker spares no expense. After arriving at the airport in Palm Beach and being chauffeured to the beautiful Eau Palm Beach Resort & Spa (where Lamborghini was gracious enough to host a small group of journalists for the event), we were graced by the presence of two stunning Lambos as we entered the hotel and settled into our gorgeous oceanside suites. 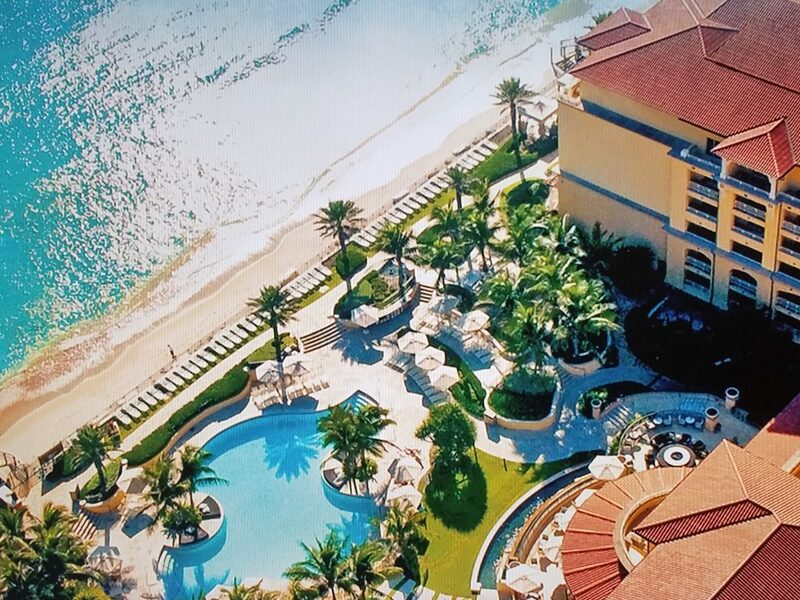 The view from my room was breathtaking and I felt immediate relief from the day of traveling as the serenity of the resort quickly washed over me leaving me relaxed and at peace. Later that evening, we met for cocktails at the hotel’s lobby bar, Stir, before being treated to a sumptuous dinner at the Eau’s Temple Orange restaurant. 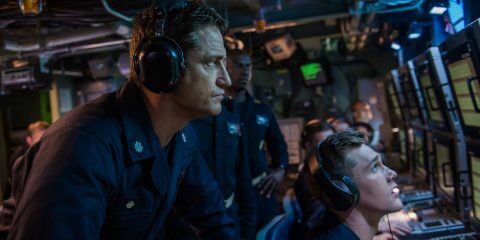 It was a great opportunity to get familiar with the rest of the group in anticipation of the coming day’s high-speed adventure. The next morning we awoke to an absolutely perfect day for racing, and after a light brunch, headed off to the raceway where the Esperienza team was eagerly awaiting our arrival. 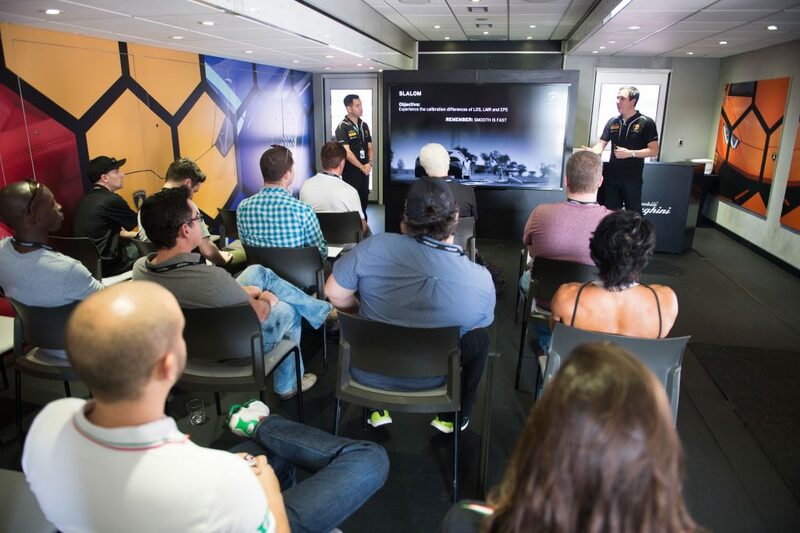 Once on site, the event commenced with a driver’s briefing and quick rundown of the track day’s full schedule of activities. 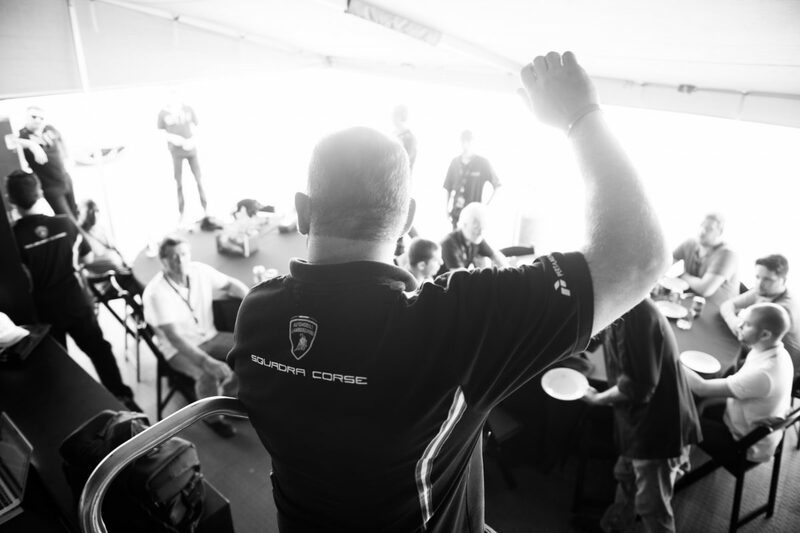 We were introduced to Lamborghini’s team of professional drivers and then given a crash course on the new Huracán model and the four available versions before heading out for the first of four racing sessions — a full throttle trip down PBIR’s straightaway with a lesson in trail braking as we reached the end of the stretch and practiced our cornering techniques. With just the first launch, I could immediately feel the g-force from the Huracán’s 580hp 5.2L V-10 engine as it aggressively pushed me back into the driver’s seat with each flick of the sports car’s oversized paddle shifters. 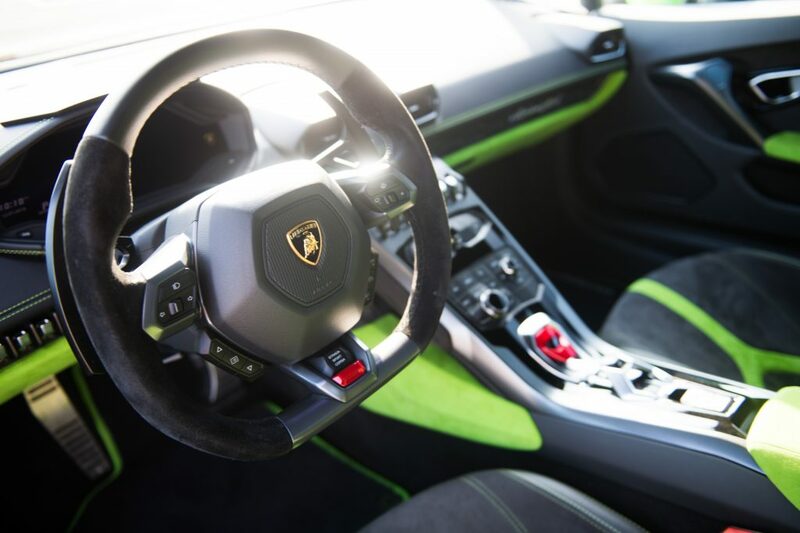 After being given the opportunity to explore the vehicle’s three different driving modes (Strada, Sport, and Corsa), it was clear to see why Lamborghini has remained a worldwide leader in the supercar market for the past several decades. And while the throttle response and ultra-fast acceleration were not necessarily surprising, the high-speed run certainly produced the thrill that supercar enthusiasts have come to expect from such an exquisite nameplate. Next up on the agenda was the ever-so-challenging (and often intimidating) slalom course. With the help of our professional instructors, we took turns navigating a series of cones and a full U-turn before coming to a hard stop within a set of markers. 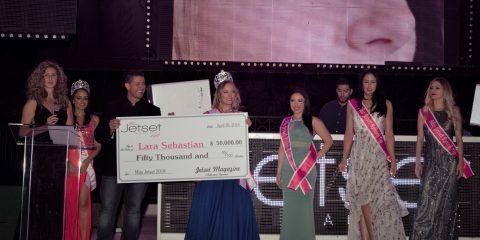 Little did we know that the session would be timed with awards given to the top performers. Being an avid racing aficionado myself, I took the session a bit too serious and managed to take out the final cone on my last run. 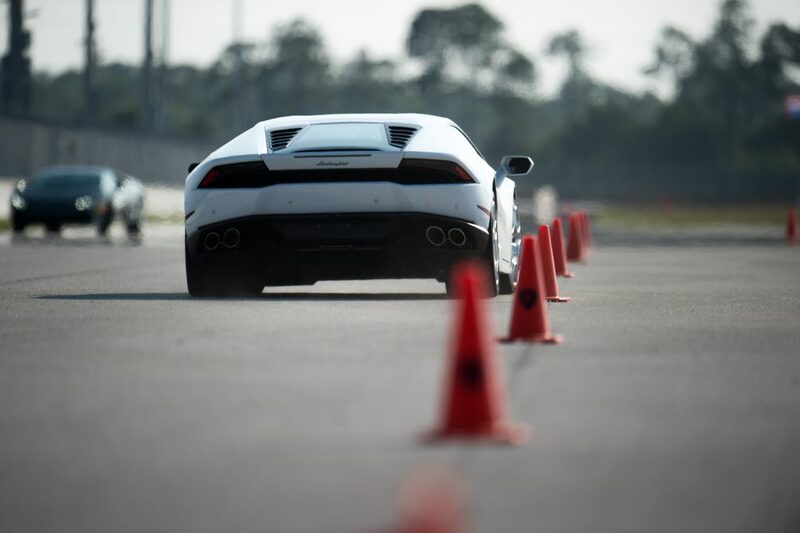 And while my chance at bragging rights may have been overshadowed by that damn cone, I walked away with my head held high knowing that my slalom skills were still worthy of a nod of approval from an official Lamborghini Super Trofeo race car driver. We paused for a scrumptious catered lunch before re-grouping for what would certainly be the highlight of the day — full speed laps around PBIR’s challenging 2.034-mile, 10-turn road course. 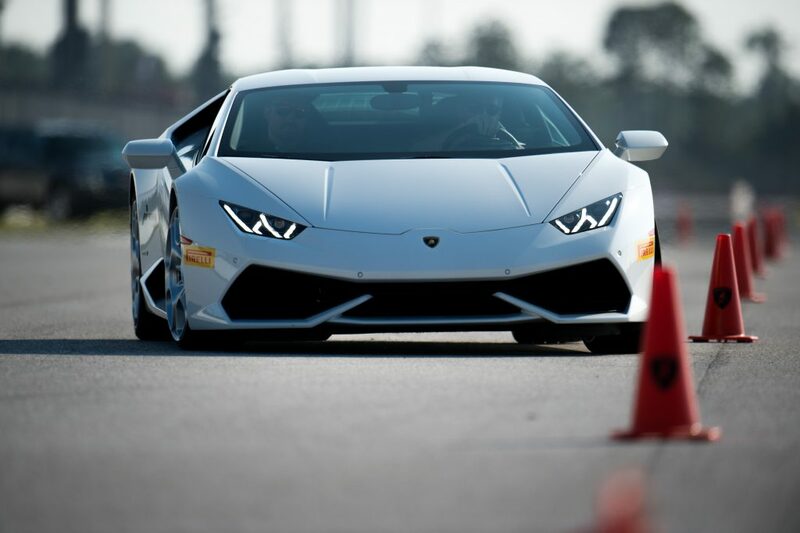 Led by one of the event’s pro drivers, we were each provided a chance to drive both the LP-580-2 RWD and original LP-580 AWD versions of the new Lamborghini model. 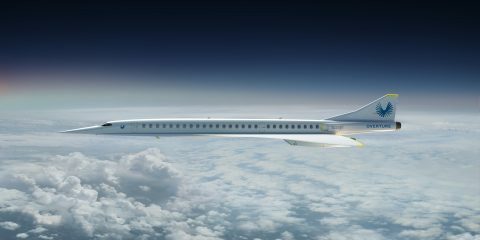 The result was a high-performance driving experience at nearly 170 mph on the main straightaway — a straight that only measures in at six-tenths of a mile, just to put that top speed into perspective. The Huracán handled so smoothly I could hardly believe my eyes when I glanced down at the speedometer and realized I was going 150 mph. The optional magnetorheological suspension helped the wheels stay firmly planted on the track with each turn, while the Pirelli P Zero tires and large disc brakes provided the perfect combination of grip and full-speed stopping power. At the end of the session, it was more than clear to see the level of appreciation and excitement in everyone’s eyes for the masterful design and truly jaw-dropping performance of the Huracán Coupé. 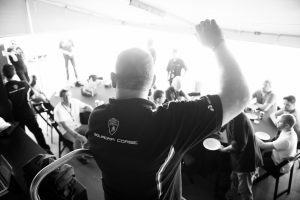 The event culminated in a final debriefing in which each participant was given a certificate of completion and recognized for their efforts before the Lamborghini team unveiled their new location for the next in their series of driving experiences, the 2017 Winter Academia, which is set to take place back in the manufacturer’s home country of Italy. 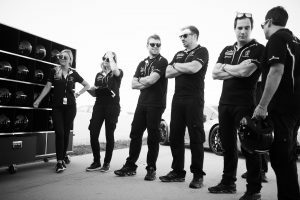 The “Twelve hours of Livigno” looks to further elaborate on Lamborghini’s unique consumer training program for fervent supercar drivers who want to take their performance driving skills to the next level by learning how to maneuver the ultra-powerful product line on snow and ice. Given the opportunity, I’d definitely sign-up for the full day of events, as what could possibly be more fun than racing a Lamborghini at full speed atop a snow-capped mountain among the beautiful landscape of the Italian Alps? I had only been at the track for a few hours, and yet my pure enthusiasm level was at a fever pitch. The Esperienza had far surpassed any preconceived expectations, and it was readily apparent that the Huracán was yet another vehicle I absolutely must add to my collection. And while I’d happily take either version of the new model, I surprisingly found the newer RWD version a bit more engaging and exciting. Alongside great company (including the distinguished presence of Lamborghini’s COO, Alessandro Farmeschi), we closed out the evening with an exceptional dinner at one of South Florida’s most renowned Italian restaurants, Renato’s, before being shuttled back to our hotel for a final night cap in preparation for the next day’s departures. So, whether you’re on the fence about purchasing a new Lamborghini, or you’re just looking for a small taste of what it’s like to get behind the wheel of one of the world’s most exhilarating and highly-respected automotive masterpieces, the Lamborghini Esperienza is one opportunity you should absolutely race to sign-up for. 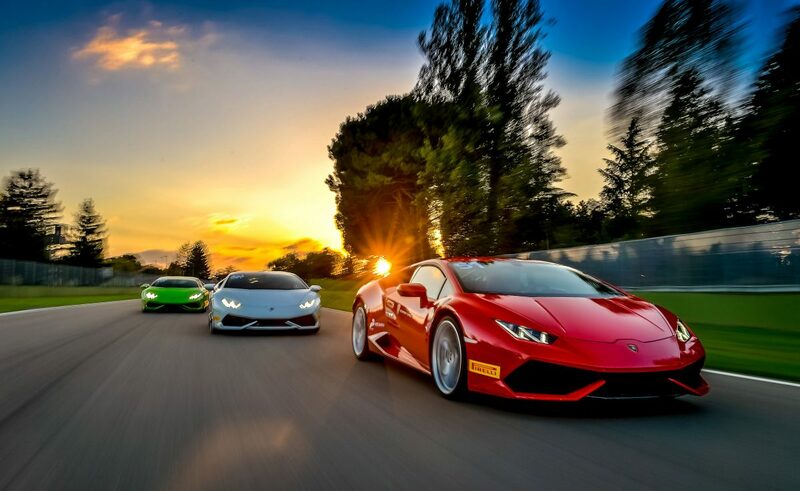 Performance motorsports advocates and affluent supercar admirers alike will not be disappointed in this unique opportunity to take a new Lamborghini for the ultimate test drive.